Have you heard of Zurich? If you haven’t, you have to stop by and read this page. 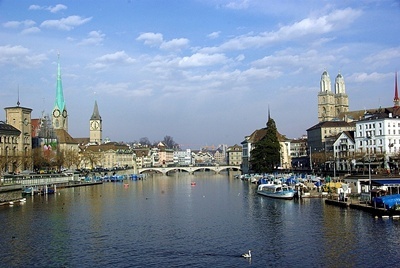 From 2006 to 2008, Zurich has been regarded as the city with the best quality of life and the wealthiest city in Europe. It is one of the leading financial centers in Switzerland, with the focus on offshore banking. One should expect the city to have a humid continental climate. As such, summers in the city are very warm and humid with regular thunderstorms, while winters are very cold with frequent snowfall. Majority of the population speak German, while the few others speak Italian, Slovenian, Spanish, French, Portuguese, Albanian, Croatian, Serbian, and English, among other languages. Main attractions of the city include churches and museums. 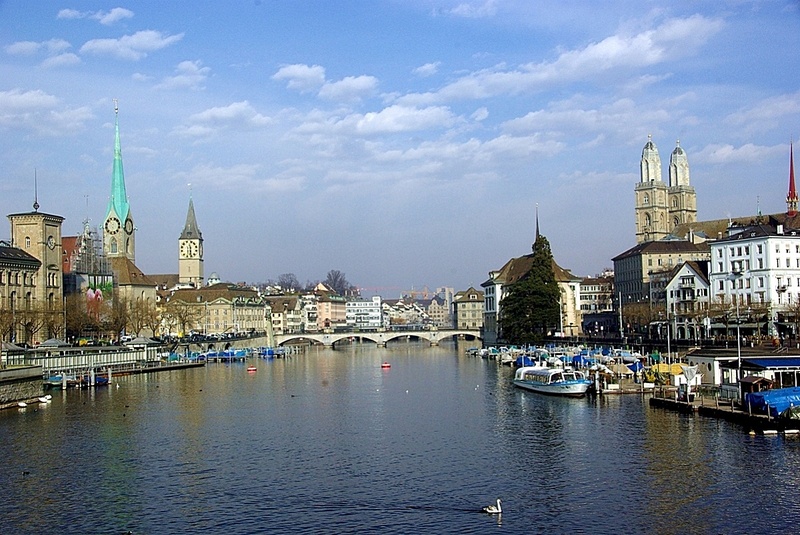 Churches like the Grossmünster, Fraumünster, and St. Peter’s Church, and museums such as Kunsthaus Zürich, Museum of Design Zürich, Swiss National Museum, Haus Konstruktiv, and Uhrenmuseum Beyer are among the most visited sites of the city. People who visit Zurich also enjoy its popular events such as the Street Parade every August of the year, Sechseläuten or the spring festival of the guilds, Zürcher Theater Spektakel or the international theater festival, Kunst Zürich or the international contemporary art fair, Weltklasse Zürich or the track and field athletics meeting held every August of the year, and the Zürifäscht which is the largest public festival in the country that features music, fireworks, and some other attractions. The city is also filled with bars, restaurants, hotels, lounges, and clubs. If you love shopping and nightlife, you should not hesitate to go to Niederdorf and Langstrasse. Now if you love ballet, opera and theater, you shouldn’t miss stopping by the Zurich Opera House which is one of the major opera houses in Europe, Schauspielhaus Zürich, the main theater complex of the city, and the Theater am Neumarkt, one of the oldest theaters built in the city. The other attractions of the city are Lindenhof Hill, where the Roman and medieval castle lies, Lake Zurich, Guild houses, Zoological Garden, Uetliberg Hill, Sunrise Tower, and Sihlcity. One would never forget his visit to Zurich City because of these appealing places and events.